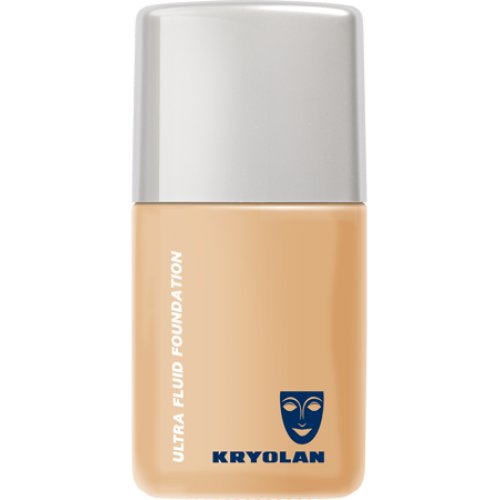 For the full contouring and highlighting we can use liquid foundations or cream products. 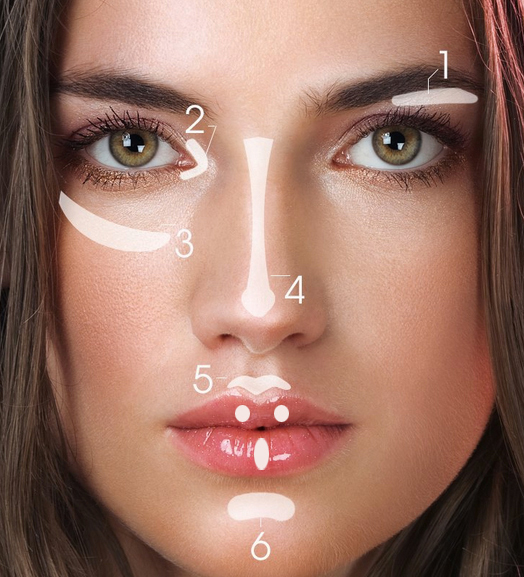 Don’t be afraid to contour more of your nose than you think is necessary. Not only is Kim’s nose shaded from the browbone all the way down, but most of the skin on her nostrils is shaded as well. This will create a serious slimming effect. Always highlight down the center of your nose. A perfect contour is nothing without a highlight! You should create a stripe of light color down your nose, starting from between your brows down to the tip. Keep the line steady and symmetrical, but feel free to play with the width (depending on how narrow you want your nose to appear). Add subtle shade to the tip of your nose. You have to look very closely to see this, but the end of Kim’s nose has a bit of contour on it. This will prevent your nose from looking too long. However, you should skip this step if you have a short button nose. 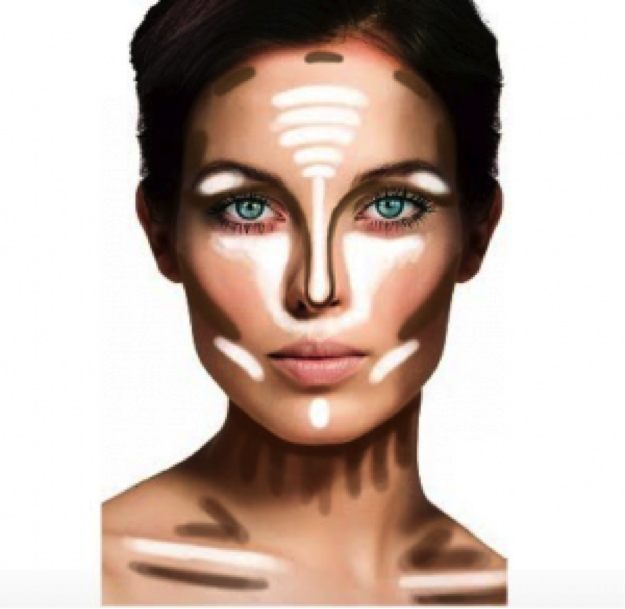 Use matching contouring colors in the hollows of your cheekbones and around your forehead. Everything should look natural and seamless — using the same products and shades will prevent any weird mismatching issues while balancing your overall look. Finish your contouring look with a bit of shading along your eye sockets. This will complete the illusion of goddess-level bone structure. Don’t forget to blend! While you do want to maintain the integrity of the lines you’ve created as you buff them out, they should not look like actual lines drawn on your face. Decide what you want out of your mascara. There is a mascara for just about any kind of lash enhancement–curling, volumizing, lengthening, defining, faster growth, waterproof–plus many products that combine these effects. Take a look at your lashes and decide what sort of enhancement they need. For sparse lashes, look for a thickening or volumizing mascara with a large, round brush with lots of bristles. You can also find a combination primer and mascara formula, which is perfect for bulking up lashes and keeping them healthy. If you have short lashes, look for a lengthening mascara with a smaller brush with thick bristles. A small wand will allow you to get very close to your eye and make sure you coat each lash. If your lashes are full but you want length and definition, choose a lengthening mascara, but one with a long brush with evenly-spaced bristles to separate your lashes. To curl your lashes, try a mascara with a curved brush. 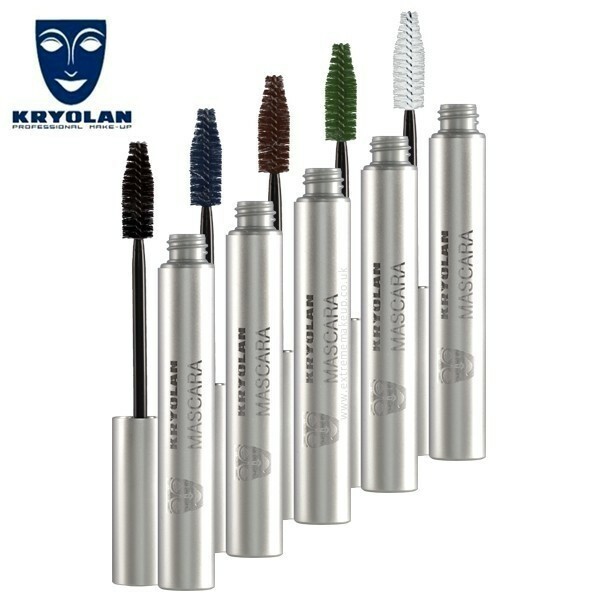 For a natural, everyday look, find a mascara with a rubber brush and evenly spaced bristles. Lots of drug store brands have these types of brushes. Waterproof mascara will likely last all day. If your lashes are uneven in length or damaged, check the ingredients on the mascara. Phyto-keratin and panthenol can help your lashes grow. Use a fatter brush on your lashes. You should only use mascara for three months before replacing it, so go ahead and experiment with different brands and formulas until you find your perfect mascara. Pick your shade. For the most part, black is the way to go. It gives the illusion of thickness and length and can really make your eyes pop. If your lashes are red or blonde, however, make brown your go-to shade, wearing light brown for everyday and a dark brown to amp up the drama. Experiment with colored mascaras. Green can bring out violet in blue eyes, purple can enhance green eyes, and blue and purple can brighten your complexion. Invest in an eyelash curler, while you’re at it. If you’re serious about getting knock-out lashes, an eyelash curler is key. This will lift your lashes and allow more light to hit your eyes so they look bigger and brighter. It may not seem like it, but an eyelash curler can make a huge difference. Look for a curler with a rounded rubber pad, which will help curl your lash instead of bend it at a sharp angle. Curl your lashes first. Apply the curler to the base of your lashes and gently squeeze for about 10 seconds. Then slide the curler to the middle of of your lashes and squeeze for 10 seconds. Finally, curl the tips of your lashes with another 10-second squeeze. This will ensure you have a natural curve instead of lashes that are bent at a harsh angle. If you don’t have a curler or you’re too afraid to use one, use your fingertips to push up and curl wet lashes. Remove the wand from the mascara tube by twisting back and forth instead of pumping it up and down. Twisting will allow the brush to pick up the mascara, which is what most people think they are doing when they pump the brush in the tube. What they are actually doing is forcing air into the tube, which dries out the mascara. Wipe off excess mascara on a tissue or on the lip of the tube. Too much product can lead to clumping. Giving the wand a little wipe will leave you with just the right amount. Look up to lift your lashes. You should still be able to see yourself in the mirror out of your peripheral vision. If you are afraid you are going to blink when you approach your lashes with the wand, open your mouth. It’s harder to blink when your mouth is wide open. Place the wand against the base of your lashes and wiggle it back and forth a little. You want the most product to be applied to the roots, which will make your lashes look longer and keep them from getting weighed down on the tips. The wiggle will also help lift and curl your lashes. Pull the want out toward the tips of your lashes with a zig-zag motion, or another little wiggle. The zig-zag adds length and volume, and can reduce clumping. Go over your lashes with a second coat. Try to leave it at that–do a third coat at the most. The more you layer on the mascara, the more likely it is the mascara will dry on your lashes and cause the new coat to clump. Mix mascaras if you want–do one layer lengthening, then a layer of thickening on top. Don’t neglect the lashes on the inner and outer part of your eyelid. A lot of times, people apply mascara only to the very center of their eyelid, which can actually make your eyes look narrower. Make sure you apply to the inner, middle, and outer lashes. If you are having trouble reaching your inner lashes with your brush, you can very carefully bend the brush to a 90 degree or right angle (don’t worry, you can bend it back). This will make it easy to brush those inner lashes without getting mascara all over your face. Remove any mistakes with a cotton swab. If you get mascara on your face or eyelid, allow it to dry so you don’t smear it and make things worse. Once dry, press the tip of a cotton swab to the spot and spin. This should remove the spot without messing up your eyeshadow. De-clump with a clean mascara wand. Either use a disposable wand or repurpose an old one (wash it thoroughly with soap and water first). Comb through the top and bottom of the lash, spinning the brush as you sweep forward. This should remove clumps and give your lashes definition. Try to comb through your lashes while the mascara is still wet. If you don’t have an extra wand on hand, try using a clean toothbrush to comb out any clumps. Thicken your lashes even further with baby powder. If you don’t feel like you’re getting the thick, voluminous lashes you want, try this trick. Apply one coat of eyeliner, then dust your lashes with translucent powder or baby powder (you can use a makeup brush or a cotton swab dipped in powder). Then add another coat of mascara. The powder gives the mascara more to cling to, which allows you to build more volume. Remove your mascara every night with an eye makeup remover. It might not seem like a big deal, but it can dry out your lashes at night and cause them to become brittle and fall out. Tip of the Day: Always curl your lashes before applying mascara not after, it can break your lashes. 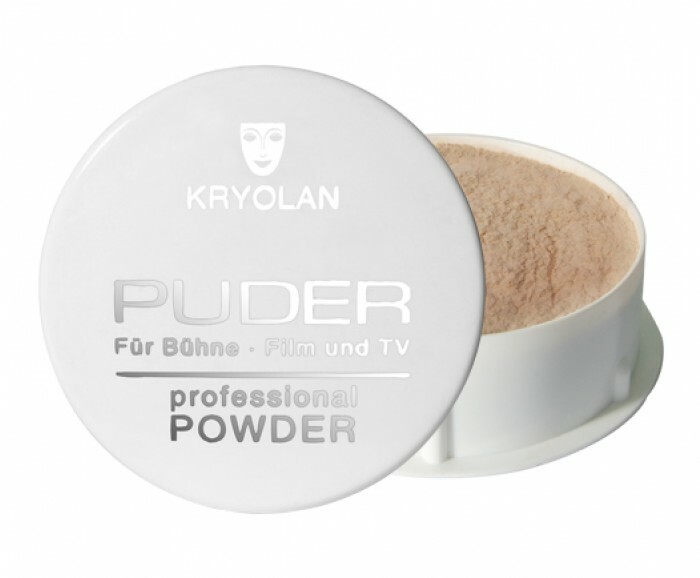 When looking for blucher you will find you can get it as a powder, cream of even a gel. They all have different qualities and it is a good idea to pick one that you feel comfortable using. The creams and gels will stay on the longest but the powders will come with more choice of colour. Powder must be applied over foundation whereas other types can be applied on bare skin. 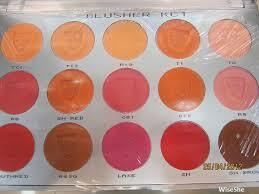 How to Apply your Blusher? Step 1 – Never use the brush that comes with your blusher these are usually too small and will not give the right application. Get yourself a quality blusher brush before you start. Step 2 – Look into the mirror and give yourself a big grin. This will allow you to see where the apple of your cheek is. Step 3 – Dip the brush into the powder and remember to always shake off the excess before you begin. Brush over the apple of your cheek towards the ear using short up and down movements. Step 4 – Now blend in the blusher. You can do this by adding a horizontal stroke over the vertical ones and then blot with a tissue. Step 1 – Look into the mirror and give yourself a big grin. This will allow you to see where the apple of your cheek is. Step 2 – Dab a small amount on the apple of your cheek and rub with your fingers. Ensure that you take the time to ensure this is blended properly. TIP for the day:If you were at all worried about blusher you should not be now. Experiment, try different colours, just remember that blusher should be subtle and look natural. This actually depends on your skin type and the blend-ability of the product you are using. It is pretty obvious that a concealer will be much more pigmented than a foundation which might make it a tad bit harder to blend. For example, for someone with an oily skin type I would suggest that he/she uses a cream concealer 2 shades darker to contour and one that is 2 shades lighter to highlight. This needs to be set with a translucent powder to prevent it from slipping and sliding on your face. You don’t need to stick with a single product. You could use a highlighting concealer and a contouring foundation. It’s all up to what products you have access to! Infact, the brushes you use might actually make or break your highlighting-contouring routine, so keep that in mind too. It slims your face and creates definition and illumination to create a sleek, sculpted look. Tip for the day: Your are not only enhancing your facial features, but also get a little confidence boost! 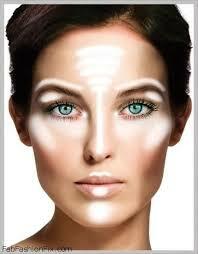 Stay with us tomorrow as we talk about highlighting. We’ve all been there. 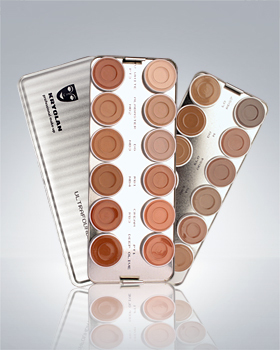 You spend all this time perfecting your skin with foundation and concealer, and it looks great – awesome! Now you don’t want that to move, so you set it with some powder. And bam! Just like that: cake face. Now what? Powder is great for setting your makeup and making sure it doesn’t slide around, but the slightest excess of it can take you from amazing to ‘ew’ in about 2 seconds flat. But don’t worry, there’s a way to fix that. All you need to do is apply your powder with a taco. Wait, what? Yes, you heard us: a taco–a powder puff taco, that is. 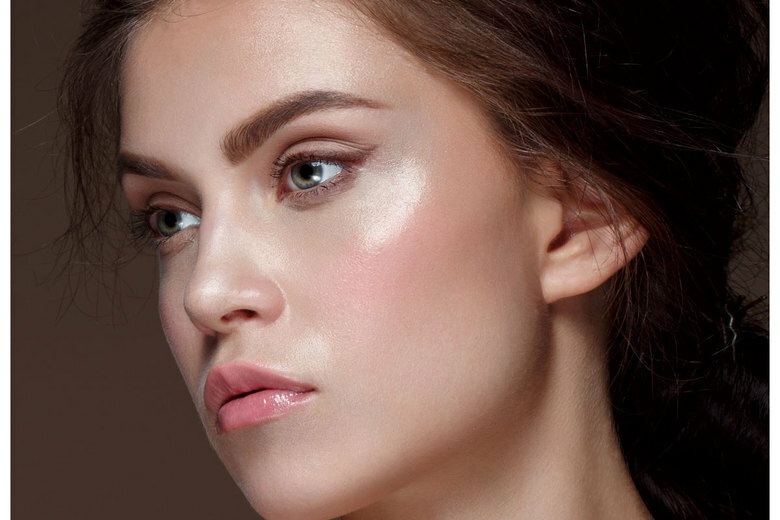 The “taco” method is one that’s been taught in makeup academies for years and will ensure that makeup stays put while cake face stays in the past. Intrigued? Read on. Make sure any excess oil is gone. Excess oil is the number one way for makeup to cake up on your face. To prevent that from happening, you need to make sure it’s gone before you set with powder. After you’ve applied your foundation and concealer, take an oil blotting sheet, or even a tissue, and gently blot any excess oil or product away. Pour loose, colorless powder onto puff. Grab a powder puff (it can be large or small) and with it laying flat, deposit a small amount of loose, colorless powder onto the center of the puff. It is imperative here that you are using a powder that is 100% translucent. Using a tinted powder can alter the color of your foundation or even change the way it looks throughout the course of the day. Fold puff into taco shape and rub together. Here’s where the “taco” part comes in. You want to fold up the edges of your powder puff, creating a “taco” shape, with the loose powder inside the pocket you’ve just formed. Now, take both sides of the “taco” and rub them together well in order to really get the powder into the puff. Fold “taco” in the other direction and repeat. Open the powder puff up and fold it in the other direction. So, if you folded it horizontally the first time, fold it vertically this time, or vice versa. Repeat the same process of massaging the sides together. Unfold the puff and gently knock off any excess by flicking the underside of the puff. 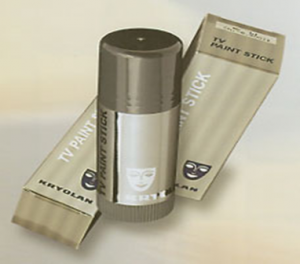 This ensures that you won’t be applying too much powder onto your face. Press and roll puff into skin. With your now powdered puff, take it and form it into a “taco” again, this time with the powdered side on the bottom. Then, gently press and roll it onto the skin. Don’t swipe! This will disturb the makeup underneath. By pressing and rolling, you are locking in the foundation and concealer and ensuring that the makeup is really melting into the skin. Finish off with a setting spray. Finish the face off with a few spritzes of your favorite setting spray. Doing this will get rid of any residual powder that may be laying on top of the skin, make you look fresh, and will lock in the makeup even more. No cake face here! Tip of the day: the less is always more … keep this in your mind every time you are applying your makeup. Stay with us tomorrow as we are starting a new week. 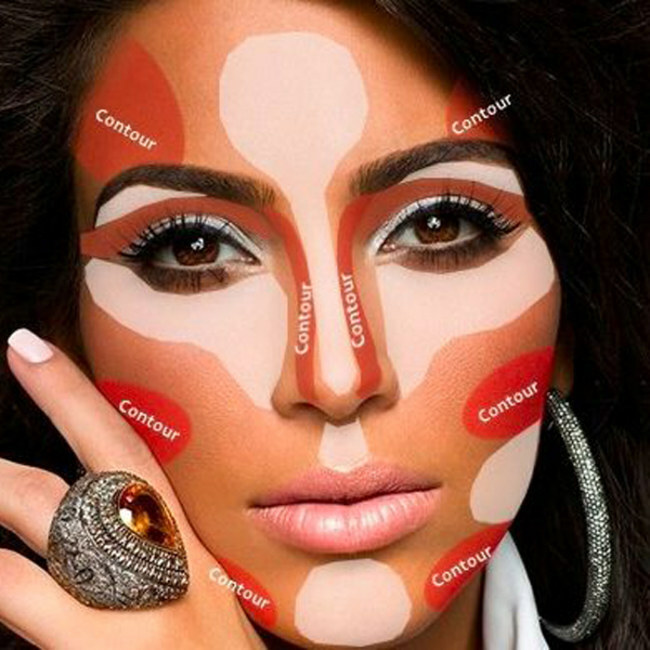 New week and new topic all about the contouring and highlighting !